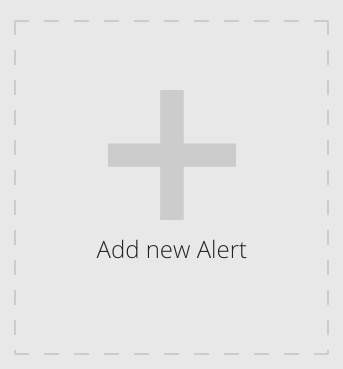 This article is designed to explain the idea behind Alerts, demonstrate why you might create one and show you how. Now is the time to set up Alerts to ensure you don't miss an important story. Alerts come in 3 forms - as a push notification to your mobile phone, to a Slack channel or as an email. Most alerts are based on a filter that orders by "Fastest Engaging"
Here are a couple of typical examples of filters that are ripe for making Alerts from. You monitor your own content, you have an idea what a good Engagement Per Minute speed is. The next step is to create an alert that will let you know when a post of yours is generating more Engagement Per Minute than usual. You're covering a topic, you're tracking a trend or person. 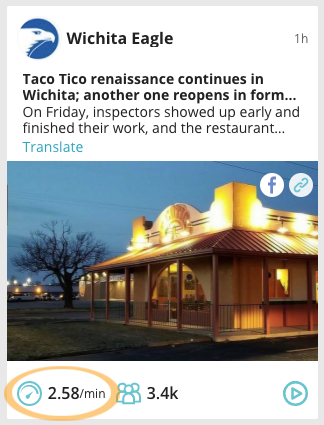 An Alert based on a keyword filter will let you know whenever that subject is mentioned anywhere, or whenever a story about that subject starts to go viral. The most widely used form of alert depends on one crucial element - Engagement Per Minute. This is the speed metric we use at EzyInsights to determine how fast a story is moving. Every like, comment, share, retweet or web share made on a given story counts towards its speed. Alerts are triggered when the Engagement Per Minute of a given story or post exceeds a pre-defined Engagement Threshold. In the example above, the Engagement Per Minute has reached 2.58. This means that for an alert to be sent about this story, the Engagement Threshold must be set at 2 Engagement Per Minute. Setting up an Alert that is relevant depends on understanding what a relevant Engagement Per Minute Threshold is. Too low and you'll get swamped with many Alerts, too high and you'll never trigger one. This is not an exact science - but you can use your own experience plus the Realtime tool to help give you a good idea of what to set your threshold to. Remember, you can always adjust it afterwards! 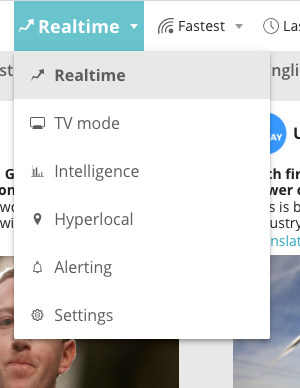 Ideally, you'll open up your Filter in Realtime and see what the Engagement Per Minute is on the top 4 or 5 stories. Let's take a look at an example, then go ahead and create an Alert. Here is a Filter that tracks mentions of the word "Google"
As you can see, the one post in the bottom left is running at over 76 Engagement Per Minute, while the next four are 6.97, 6.55, 5.64 and 3.08. Let's assume we don't need an Alert for every article mentioning Google, but only the ones gaining significant attention. We might then set the Engagement Per Minute Threshold anywhere above about 7. In this case, we can choose a threshold of 10 Engagement Per Minute. (If too many stories reach this in future and trigger unwanted alerts, it's trivial to adjust it upwards). Once I've selected all the options above, I can go ahead and click save. This Alert is now set up! I'll receive a notification whenever a story mentioning the keyword 'Google', exceeds 10 Engagement Per Minute. Please get in contact at any time if you'd like help setting up alerts within your own EzyInsights subscription.